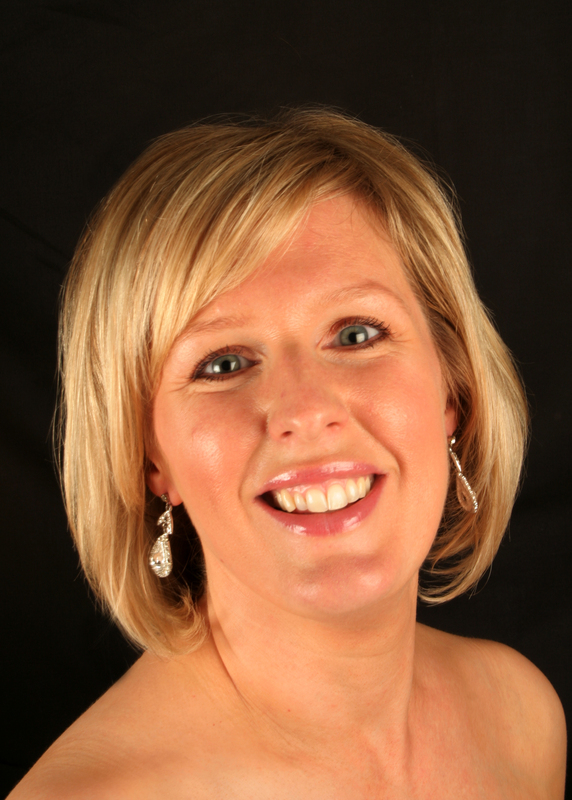 Lytham based soprano, Nicola Howard, was appointed as our President in April 2016. She took this position in succession to her tutor and friend, the late Barbara Robotham who died in 2013. The formal presentation of a silver brooch in the form of a treble clef was made by Eric Waite, widower of the former President, at the choir’s 2016 Spring Concert at Kirkham Grammar School. Born in Lytham, Nicola comes from a very musical family. At 18 she won a scholarship to The Royal Academy of Music in London where she studied under Marjory Thomas and Mark Wildman graduating with First-Class Honours. Nicola went on to perform principal roles in many opera houses at home and overseas whilst also enjoying a long and varied career performing Oratorio in venues throughout the United Kingdom, Europe and the United States. Nicola also won the prestigious The Royal Overseas League International Singing Competition. Nicola is a popular soloist with the choir having performed with it on more occasions than any other soloist since its formation in 1907. Helen Harrison has established a reputation as a vibrant and versatile conductor inspiring exciting and compelling performances from the singers and instrumentalists she collaborates with. Helen is the Music Director and Conductor for Blackpool Symphony Orchestra, Preston Opera and the Lancashire Youth Symphony Orchestra. She has also recently been appointed as the Music Director for Lytham St. Anne’s Choral Society and takes up this post in September 2018. Helen also founded the Helios Chamber Orchestra who recently accompanied KTB Voice in performances of Faure’s Requiem and Pergolesi’s Stabat Mater. Helen works regularly with Flat Pack Music; recent performances include Puccini’s La Boheme in Chester and a performance of Handel’s Messiah on the Wirral. Helen also guest conducts for Blackburn Choral Society and Bolton Catholic Musical and Choral Society. She has also conducted Wilmslow Symphony Orchestra, Blackburn Symphony Orchestra and the New Horizons Concert Orchestra. She was also invited to conduct a successful 'Last night of the Proms' concert at Preston Minster in aid of the Rosemere Cancer Foundation. Alongside her orchestral, operatic and choral conducting engagements, Helen is also an award winning musical director for musical theatre groups. Helen read Music at Cambridge University and studied Conducting at the Royal Northern College of Music. She has been selected to take part in International Conducting Masterclasses held at the RNCM where she has worked with Clark Rundell, Mark Heron, Nicolas Pasquet, Gergeley Madaras, Matthew Wood and Morten Wensberg. Helen is delighted to have been appointed as the Music Director for Lytham St. Anne’s Choral Society. She is looking forward to making her debut at concert in November commemorating the anniversary of the end of World War 1 performing Howard Goodall’s ‘Eternal Light’ and Haydn’s ‘Mass in Time of War’ and the performance of Mendelssohn’s Elijah later in the season. Anne Shepherd was educated at Arnold Girls School Blackpool before going to college in London. She studied piano with Edith Kaye-Perry and it was whilst accompanying the school choir under Phyllis Dunkerley that her interest in choirs was kindled. During her time in London she sang with the Philharmonic Choir, and took a sabbatical to study at the Orff Institute in Salzburg. Since she returned to the Fylde in 1991 she has been a member of the Lytham St Annes Choral Society. 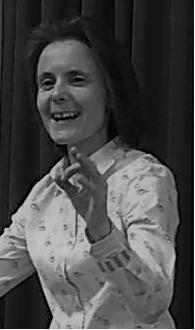 Anne became Deputy Conductor in 1994. She is an active member of the committee and enhances the life of the choir with various extra curricular activities. She regularly organises and conducts rehearsals for the choir members who wish to sing in the summer months. During recent seasons she has led members of the choir at the Christmas party at St Annes Masonic Lodge and she organised a highly successful Gospel workshop in Lancaster run by Scott Stroman for Making Music (the National Federation of Music Societies). Anne makes numerous other contributions to the musical scene. She was chair of the NW Regional Committee of Making Music (NFMS). In this capacity she organised a performance of African Sanctus at Chester Cathedral and a choral workshop in Lancaster in 2007 to commemorate the Abolition of the Slave Trade Bill 1807. Anne is Vice-Chairman of the Blackpool Festival for Music, Dance and Speech and conducts the May Copeland Choir and the Wedgwood Ladies Choir in Blackpool. Anne is also Vice-Chairman of the Blackpool Festival for Music, Dance and Speech and conducts both the May Copeland and the Wedgwood Ladies Choirs in Blackpool. Anne also organised our Centenary Exhibition in 2007 which was held at The Heritage Centre in Lytham and ran a recent workshop for String players for Making Music at Parbold (2009). Andrew Barratt was born in Leeds and, after attending the cathedral school in Peterborough, went on to study at the Royal Academy of Music in London. Here he studied piano and 'cello and conducting with the late Maurice Miles. After graduating from the Royal Academy he completed post-graduate training at London University. Andrew and his wife Pippa met while they were both students at the Royal Academy and they have lived on the Fylde coast since 1975. Andrew has been Director of Music at Kirkham Grammar School since 2003, previously holding posts of Head of Music at Queen Mary School, Lytham from 1977-1999 and Director of Music at King Edward VII and Queen Mary School until December 2002. Andrew has conducted widely in the area, being involved with various choirs and operatic societies. He is also active in the assessment of musical performing at GCSE and A level, being closely involved in the development of the new examinations. Andrew has conducted the Lytham St Annes Choral Society in 80 concerts since 1977 and conducted the Society in a number of joint concerts with Preston Cecilian Choral Society during his time as conductor of that society. Andrew conducted the Northern Chamber Orchestra in the first two of the highly acclaimed 'Last Night of The Proms' events held on Lytham Green. Interests apart from music include gardening and walking. Andrew is also a Local Preacher in the Methodist Church. Andrew has given the Society over 40 years dedicated service and leadership - he will be missed. Thank you for what you have done Andrew. Nellie Kirby, who died on 7 February 2010 shortly after celebrating her 90th birthday, was one of our most loyal patrons. She was also our last link with the Choral Society's founding conductor, Samuel Broughton, with whom she had singing lessons. Mr Broughton's daughter, who was the Society's first accompanist, played the piano at Nellie's lessons. Nellie was born in Freckleton where her family ran Kirby's Fruit and Vegetable business, and she spent her whole life there. She sang in the Methodist church choir where her brother was the organist, and also joined a Quartet Party which sang at many local concerts and music festivals. Although Nellie was not a member of the Choral Society, she regularly attended concerts from the mid-1930s. During our Centenary Season, two committee members interviewed Nellie at her home and she shared with us some of her memories of those early days. She had heard many stories about Kathleen Ferrier from Samuel Broughton, including Kathleen's first appearance at the Lowther Pavilion for a Choral Society rehearsal, drenched after cycling in the rain from Warton. Years later, whenever she was singing professionally in Manchester or Liverpool, Kathleen would always stay with the Broughtons in Lytham. Samuel Broughton told Nellie, "She was a wonderful friend." Nellie's enthusiasm for life and her love of choral music never dimmed. When she had to give up driving to concerts she came in a taxi; when her friend died she continued coming on her own; and when her mobility and sight deteriorated, she would push her walking frame up the aisle to the front of Church Road Methodist so she could see everything that was going on! She told us every time she came to a concert, "I think.... this one's better". Nellie Kirby's death marks the end of an era in our Society and she will be greatly missed at our concerts. We extend our sincere condolences to her son, David, and to his family. At her funeral, the service sheet gave one last instruction from Nellie – "Sing well for me." The large congregation certainly did that for a remarkable lady. As an organ recitalist and accompanist, lan Hare has performed widely in Britain and abroad, including France, Germany, Holland, and the USA. He has played at many of the major London venues, notably Westminster Abbey, St. Paul's Cathedral, the Temple Church and an appearance at the BBC Proms. Performances in the past few years have also included engagements in Vienna and Berlin, and recitals at Queen's College, Oxford and King's College, Cambridge. He has made several recordings, including broadcasts for radio and television, and organ CDs In Pastures Green (2002) and Spirit of the North (2006). He is also a composer, specialising in choral and organ music, and has had a number of works performed and published in Britain and the USA. Currently, lan is the Director of Music at Crosthwaite Church, Keswick, in the Lake District, directs the Keswick and Wigton Choral Societies and is Chorus Master of the Cumbria Rural Choirs. From 1981 to 1989 he was Organist and Master of the Choristers at Cartmel Priory and then Sub-Organist at Carlisle Cathedral until 1995. After founding the Lancaster Singers in 1975 he remained their Musical Director until 1989, conducting many choral works with orchestra and professional soloists. Having begun his musical training at Hymers College, Hull and at St Mary's Church, Beverley, he became a Fellow of the Royal College of Organists at the age of sixteen and studied in Paris with Andre Marchal. In 1968 he became the Organ Scholar of King's College, Cambridge, under the direction of Sir David Willcocks. Following studies at the Royal College of Music and with Nadia Boulanger in France he was appointed Lecturer in Music at Lancaster University in 1974, subsequently becoming its first University Organist, and in 2006 he was awarded an Honorary Fellowship. He is in demand as a teacher and is an Associated Board Examiner, including tours of Hong Kong and Malaysia. He has an extensive repertoire ranging from the 16th century to the present day, including a special interest in music by British composers.